Ready for a thin mint recipe that will knock your socks off? 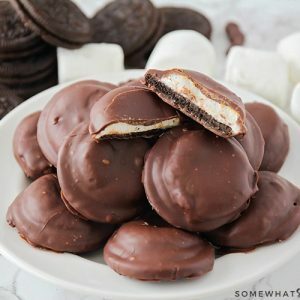 These Thin Mint S’mores taste just like a Thin Mint Girl Scout Cookie, only they’re stuffed with a golden, toasty marshmallow. Does it get any better? I think not. 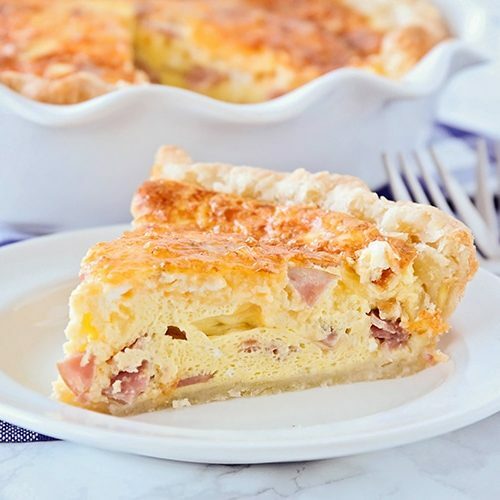 Today I have a scrumptious twist on not one, but two old favorites. 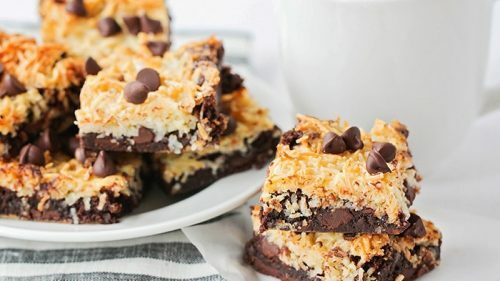 If you love Thin Mints AND S’mores, you won’t want to miss this perfect combination of chocolatey, gooey, crunchy goodness! And if this isn’t enough to make your life a little better today, you can have a whole batch of this Thin Mint Cookie recipe ready to go in about 20 minutes or less. Yay!! 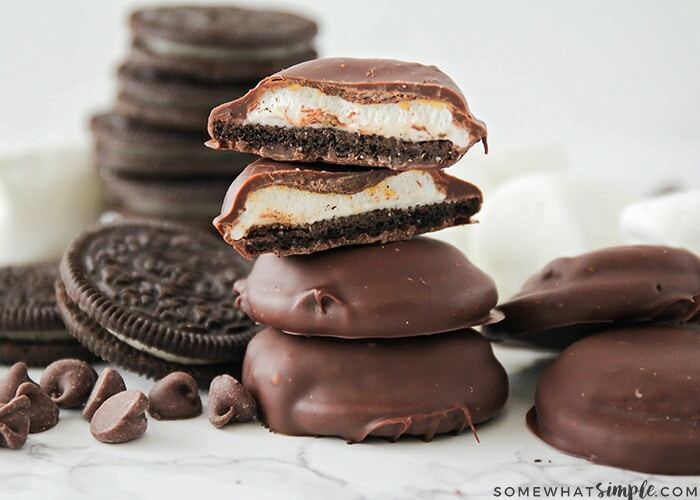 For this Thin Mint S’Mores recipes, you will need Oreos, marshmallow, mint extract and chocolate chips. If you want less of a marshmallow filling, try using marshmallow cream instead. Either way, they taste fantastic! To make this thin mint cookie, you’ll start out by separating your Oreo cookies and scraping off the cream filling with a small spatula. 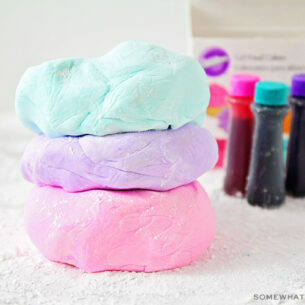 Cut your marshmallows in half so you have two rounds. Place the cut side down on the cookie. 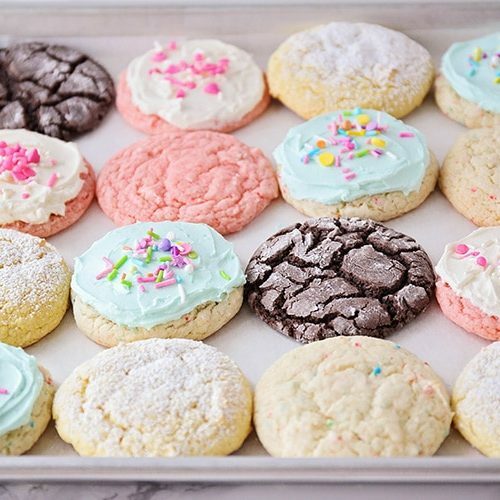 Place your cookies with marshmallows under a hot broiler, watching carefully, until the marshmallows are golden on top – about a minute. Remove from oven. Dip your cookies in melted minty chocolate and place on a baking sheet to harden. 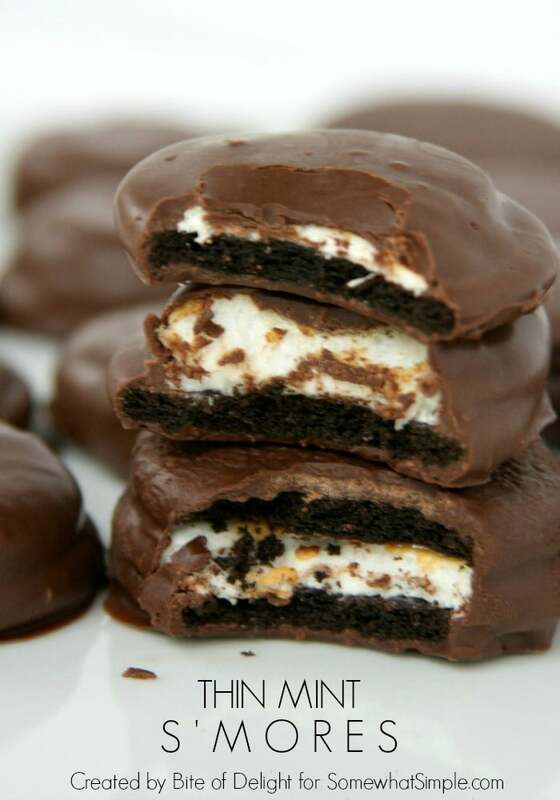 Seriously, how good do these homemade thin mints look? Ready for a thin mint recipe that will knock your socks off? 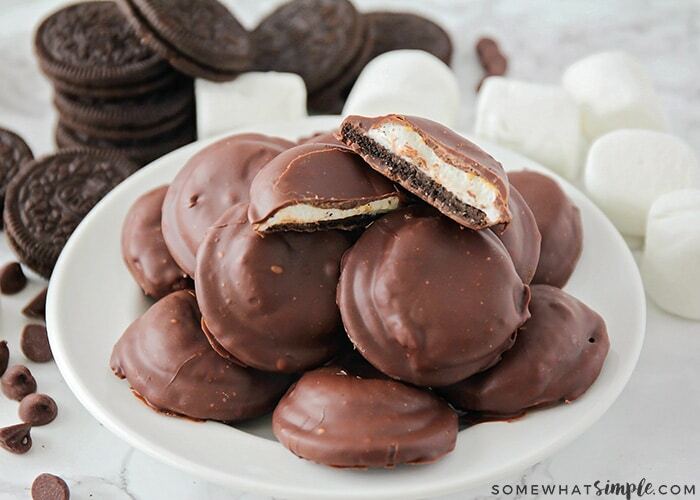 These Thin Mint S'mores taste just like a Thin Mint Girl Scout Cookie, only they're stuffed with a golden, toasty marshmallow. Does it get any better? I think not. Separate cookies and scrape off cream filling. 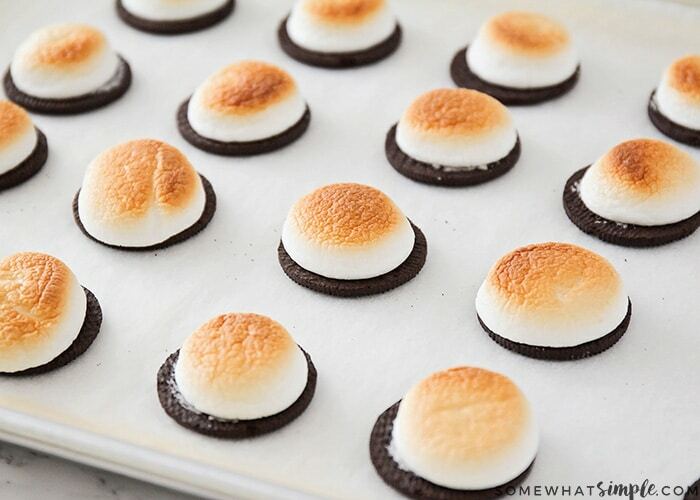 Place marshmallow halves, cut-side down, on oreos halves and place under broiler for about one minute, or until marshmallows are golden. Watch carefully, they can burn very quickly! 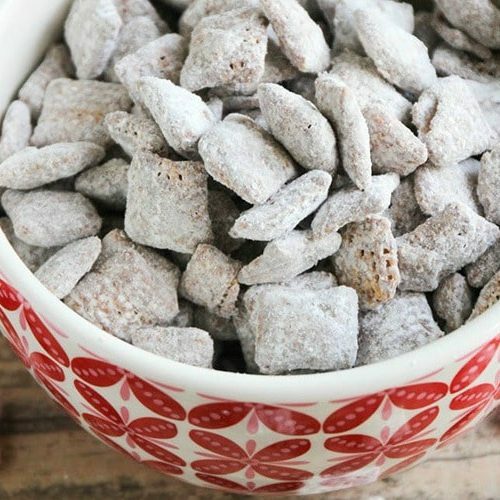 Put chocolate chips in a microwave-safe bowl and heat for one minute. Stir, add peppermint extract, and stir again. 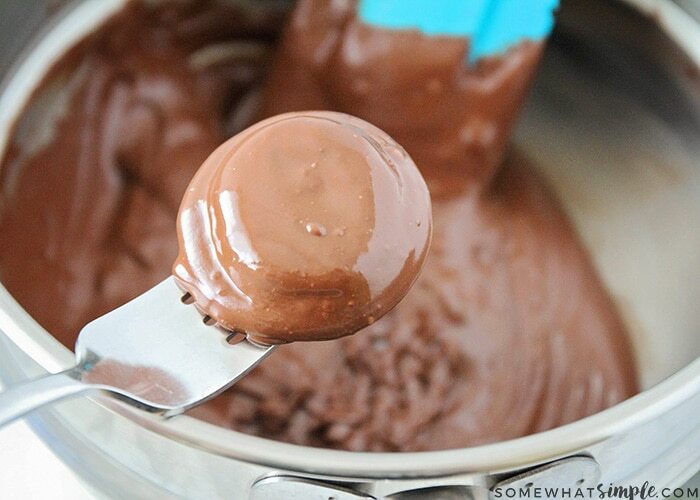 If chocolate is not melted, microwave for 15 second intervals, stirring in between. 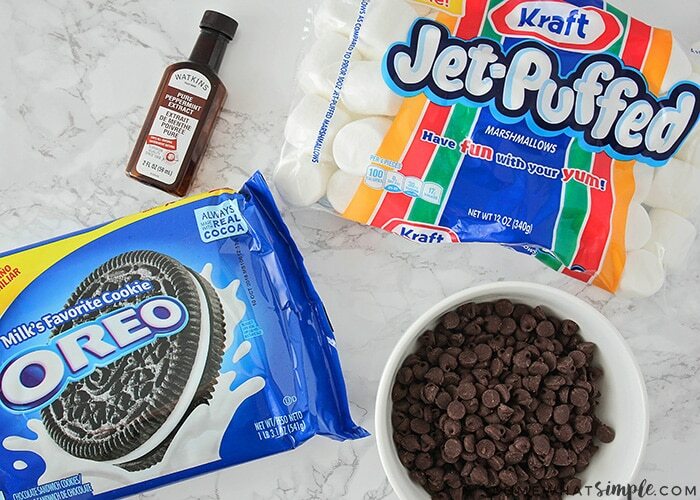 Drop one s'more into the melted chocolate, cover completely, then lift out with a fork and tap gently against the side of the bowl to remove excess chocolate. Place on a parchment-lined cookie sheet to harden. 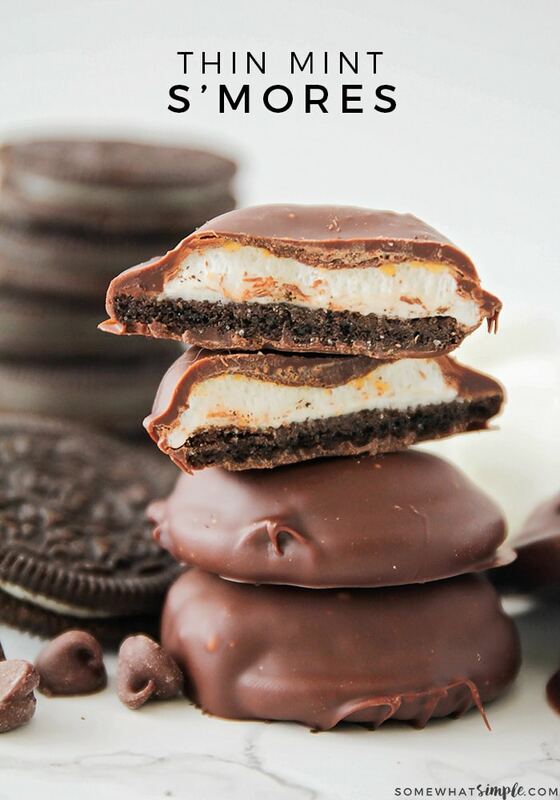 Do you have a favorite Thin Mint Recipe? Tell me all about it in the comments section below! 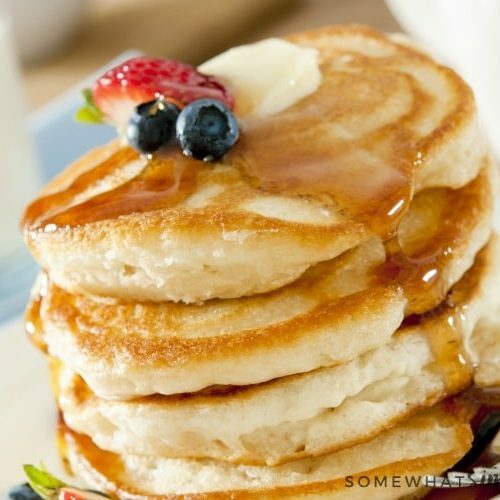 ABOUT THE AUTHOR – Becky is the cook/photographer/writer/eater behind the blog Bite of Delight. 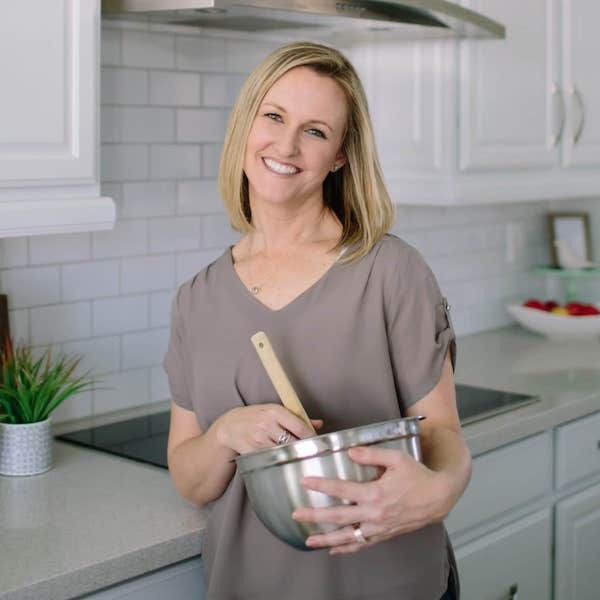 Becky was a food contributor on Somewhat Simple in 2017. A thousand times YES! 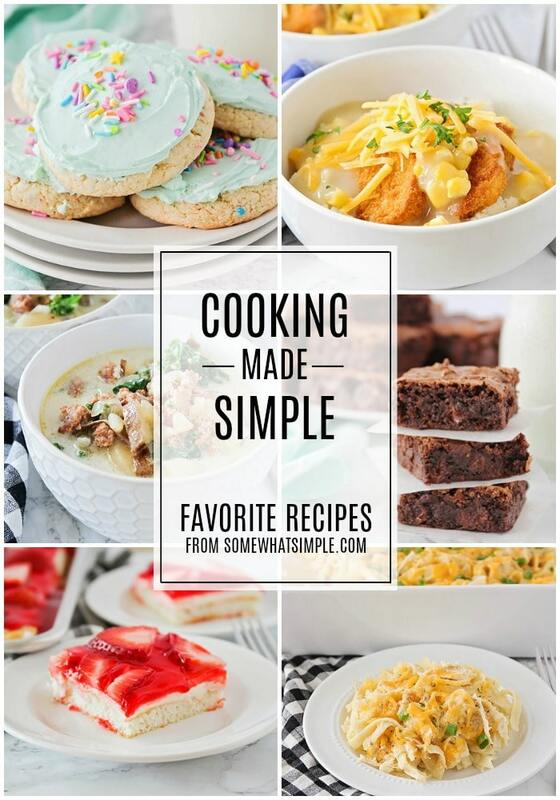 These are awesome and so easy! Thanks Jocelyn, you made my day! So glad you enjoyed them. Seriously! This cookie looks like the most decadent cookie. I can’t wait to try it. 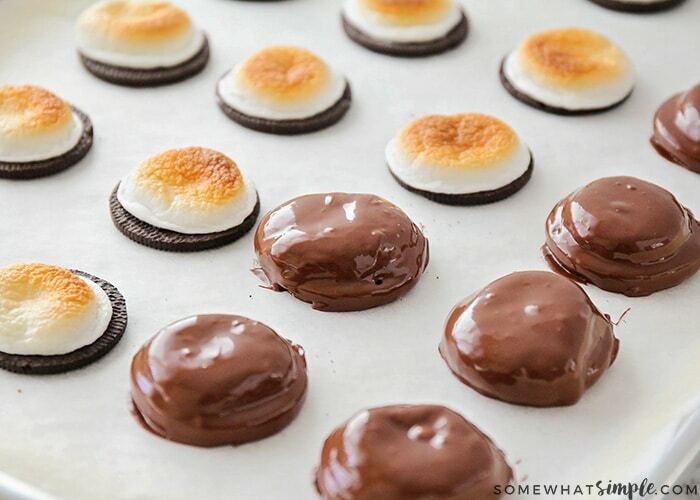 Love this summer twist on thin mints! So delicious! 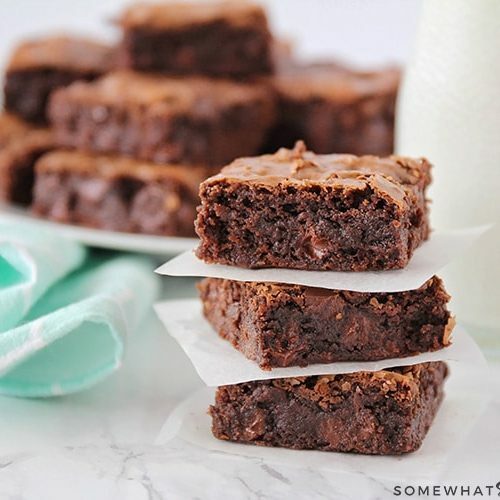 I just made these and I’m already looking forward to making them again – which will be soon! I’m so glad you enjoyed them and thanks for sharing!